I've been sitting on this post for a while, in the hope that the sun might show it's face and I can be all topical - but frankly i can't wait any longer so come rain or shine it's being posted! 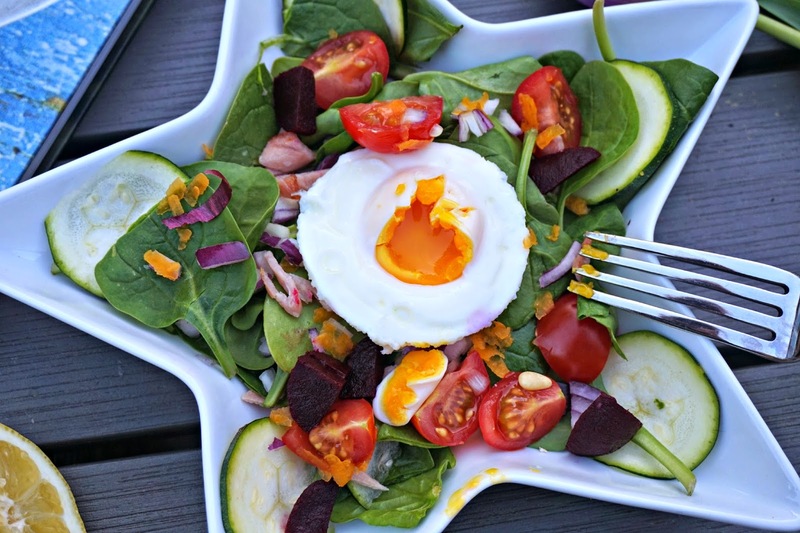 This blog post is all about (drum roll).....salad. What I love about salad is that it's so versatile. 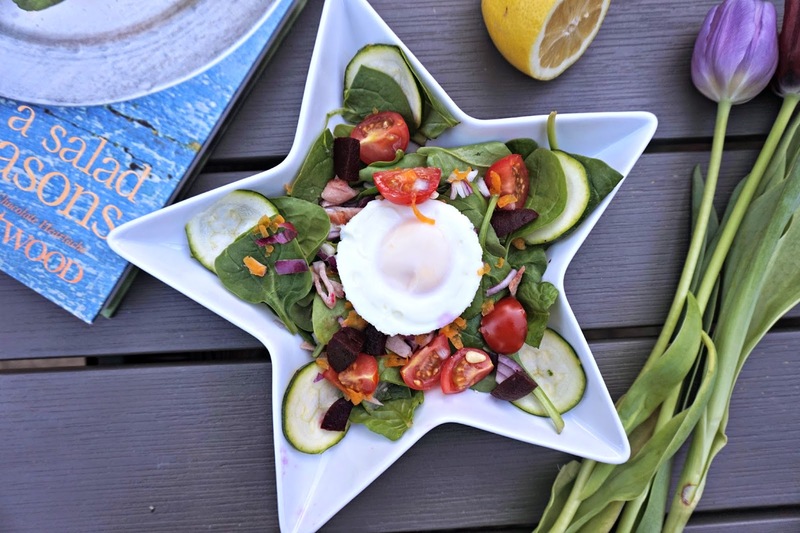 You can add pretty much anything you like to them and create something new every time. Plus it's packed with antioxidants, vitamins and minerals which keep your skin gleaming and feeling good. So with all this in mind, there was no way I could turn turn down Florette when they recently got in touch and asked if I'd like to be part of their summer salad recipes campaign. 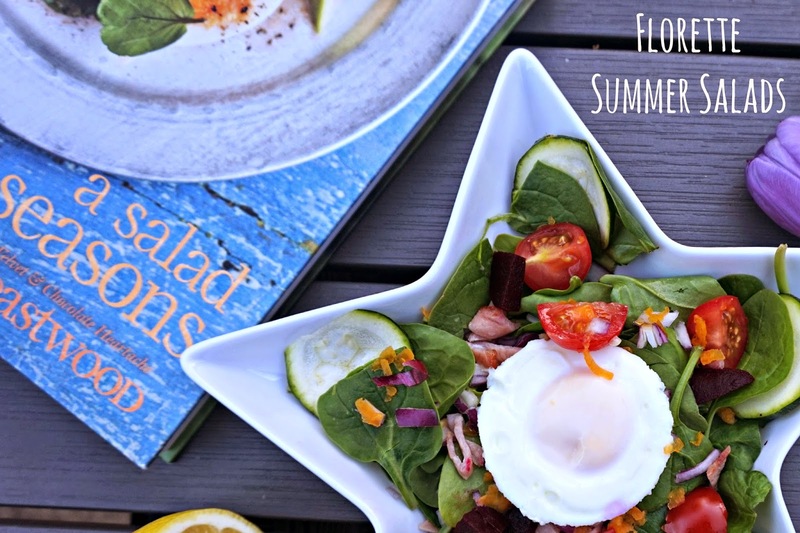 Florette are asking bloggers to share their salad recipes and I'm a big believer that salad can be a star in its own right, not just a side dish which i wanted to showcase here on my blog. 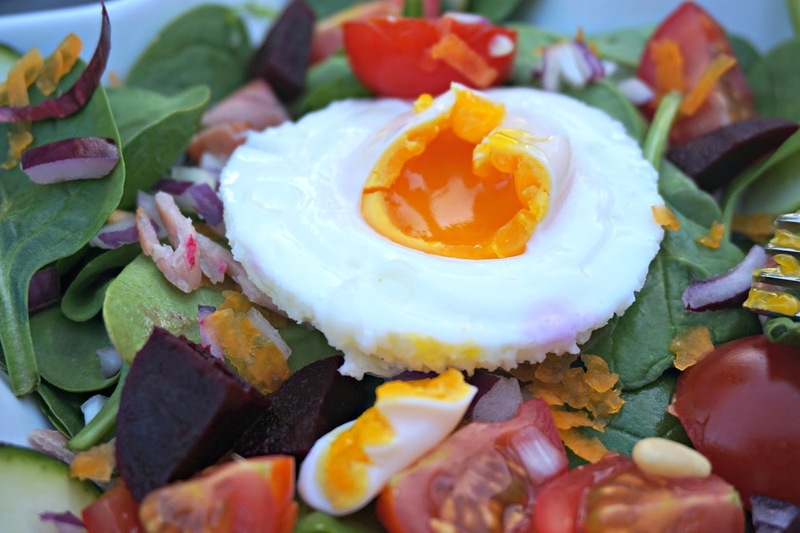 For my recipe, I've created a twist on my favourite eggs & bacon to show salads can be a little naughty as well as nice - no rabbit food in sight! I won't pretend there'a difficult method here: simply put your bacon on to cook and poach your egg. While this is happening, chop your tomatoes (keep these chunky), red onion, cucumber and beetroot (finely) before piling it all on top of your spinach. Once your bacon is crispy, cut it up, sprinkle on top with the pine nuts and add your poached egg - et voila!